These trousers are sure to give any look a feminine edge. 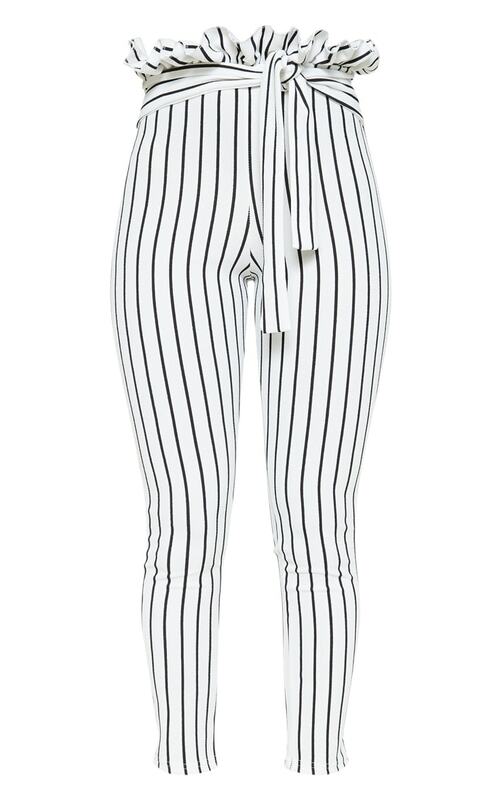 Featuring a monochrome pinstripe fabric, a figure-hugging skinny fit and a paper bag waist tie. Team them with a crop top and heels for a simple but sassy look.